Engineers leverage many digital tools to design products today. Yet, those tools generate loads of files. This eBooks reviews options that engineers can use to lighten that load. 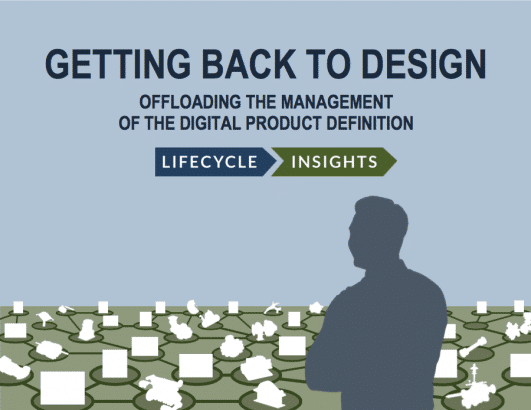 This eBook is of most value to Engineering Managers and Engineers that see value in leveraging many different digital tools to design products, yet struggle with the overhead of managing all of the resulting files. Engineers have a tough job. Every day, they’re caught between a rock and a hard place. They must adhere to tight schedules and meet milestones on the way to design release and product launch or shipment. They must develop design solutions that satisfy highly technical requirements. They must integrate disparate feedback from all over the company into their designs. They have to iterate and explore different options, and perform trade studies to understand how each constraint is affected by change. These demands are simply part of the job. They’re non-negotiable. That’s engineering. To get the job done right, modern engineers employ many digital tools to accelerate and automate these tasks. Computer Aided Design (CAD) software lets engineers quickly explore options for 3D geometry and virtually prototype a design’s form and fit. Computer Aided Engineering (CAE) software empowers engineers to check the performance of their design in the context of engineering physics. Spreadsheet, document, and presentation applications help create product and process documentation and presentations. And don’t forget about the plethora of e-mail that engineers exchange critical information with internal and external stakeholders. All of these digital tools are powerful and beneficial. Enabling engineers to do all of these things is incredibly useful. However, there is an issue. You see, these digital tools generate a dizzying number of files that proliferate as the development cycle progresses. Furthermore, all of these digital artifacts are interconnected. A BOM managed in a spreadsheet reflects a specific version of the CAD model. A particular iteration of a spreadsheet managing requirements relies on a specific CAE model for verification and validation. The result is a complicated network of relationships that is incredibly difficult to manage. However, engineers have traditionally had to manage these files as well as this complicated network of interrelationships manually.